I like to buy old furniture and refinish it. I was stoked to find this big shelf at Value Village for $13 this past summer. It was what I’ve had in mind for my craft room. The shelves aren’t too deep, and the shelf itself isn’t too tall (about 6ft). This was great because I’m short, but I can still reach the back of even the top shelf. 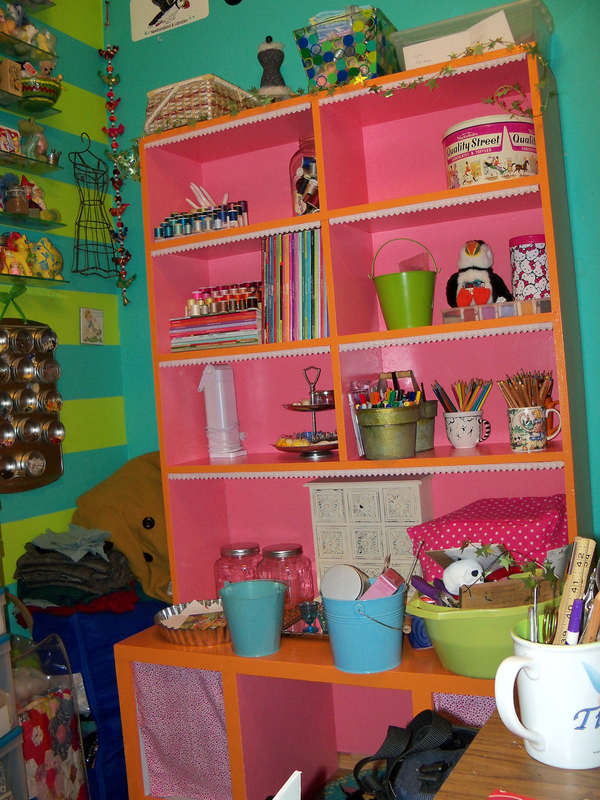 I don’t dislike the green, on the contrary, my craft room is the turquoise you see behind the shelf in the photo, and lime green! 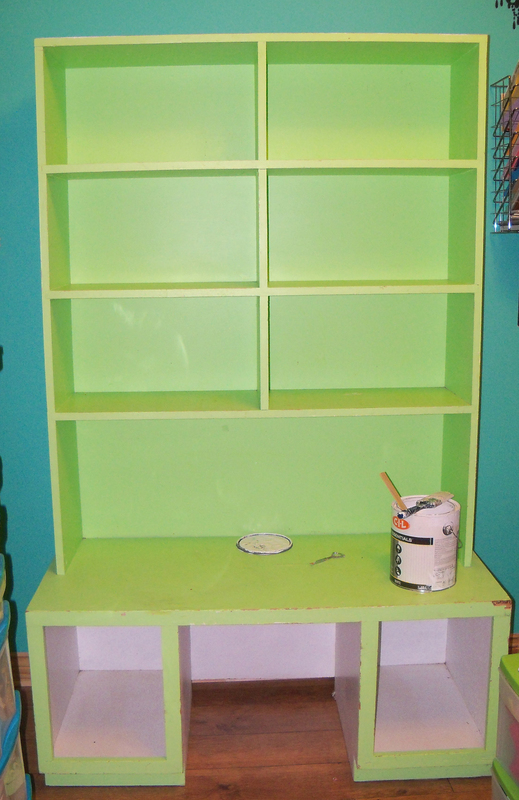 So, I wanted the shelf to contrast with the walls, so I picked a couple of bright, yummy paint colors out! I went with pink and orange, in a gloss finish. I primed the shelf, and gave it a few coats of paint. I’m still rearranging things on it the way I want, but here’s a pic of it. I was still in the process of putting items onto it, that’s why it’s a bit of a mess. I still don’t have it perfectly the way I want it, it’s a work in progress. Oh, and I also added lace trim to the bottoms of the shelves, and made simple panel curtains for it. I may make better curtains later on.